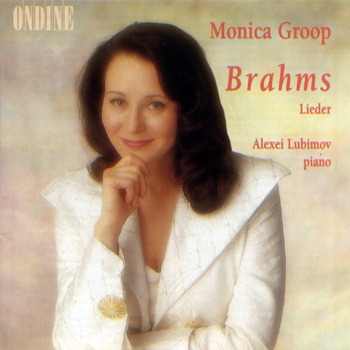 This CD features Finnish mezzo-soprano Monica Groop with selected Lieder by Johannes Brahms. She is accompanied on piano by Alexei Lubimov. Zwei Gesänge, Op. 91 (tracks 25-26) and the song Verstohlen geht der Mond auf (11) also feature the Jubilate Choir and viola player Ilari Angervo.